Zwolle is a real cycling city. It is not only often faster to take the bike to get from A to B than the car, you can also find gorgeous cycling routes in and around the city. 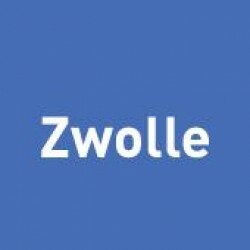 Moreover, almost 50% of the trips in Zwolle are made by bike, which is the highest number in the Netherlands. Since the 70's the bicycle plays an important role in our city planning. In order to make cycling in Zwolle faster, safer and more comfortable, we are constantely working to optimize the cycling network. Think of bicycle tunnels and bridges, cycle streets, as well as free, guarded bicycle parking facilities in the city centre. In addition, we are not afraid to apply innovative solutions, from bicycle streets to bicycle roundabouts.